Texaschemist.com Review– Where Did This Pharmacy Go? 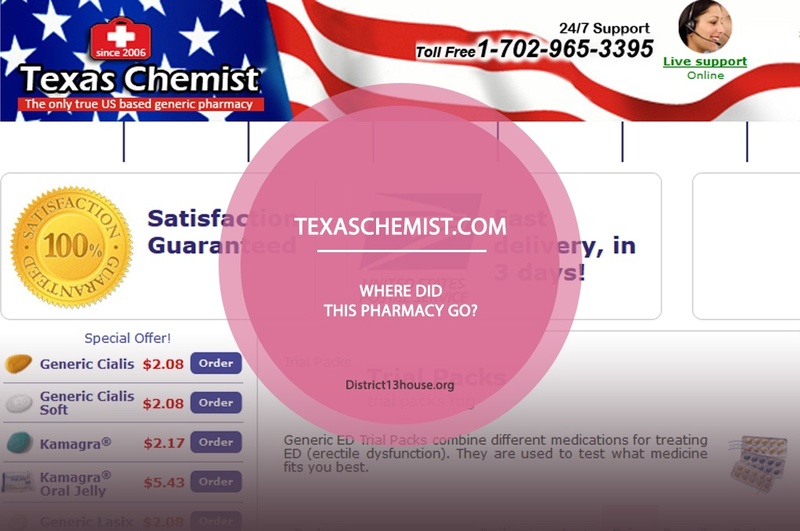 Texaschemist.com was one of the most popular and highly sought-after online pharmacies on the web. This online pharmacy has focused on the sale of generic impotence products (plus an addition of a handful of other generic items) for years until it finally closed down in 2017. I was able to find fragments of information about Texas Chemist on the web archive site so I was able to gain insight on this platform even if it’s now offline. According to Texas Chemist’s information on the web archive, it started its operations in 2006. The site also claimed that it was based in the United States and that it only catered to US-based consumers. There was no specific information on where the store sources its products from, although there was something about the store sourcing its medications from India and that the medicines were approved by the Indian FDA. The store Texas Chemist mentioned that consumers were required to provide prescriptions for some of their products, but the shop was not clear on which products were the ones which required the prescriptions. For products that required the prescriptions, customers were asked to send their prescriptions through email or through fax so the orders won’t be canceled. Information on Texas Chemist revealed that the shop accepted only credit card payments, although the store did not disclose which card companies were the store able to accept. Since VISA and MasterCard were the cards usually accepted by online pharmacies, so it’s probable that Texas Chemist has also accepted them. As for shipping, Texas Chemist has only shipped the parcels using USPS, so the shipping fee was higher than the usual shipping rates charged by web drugstores. Delivery costs $35 at Texas Chemist, far from the $10 usually charged by web pharmacies. As for the returns, consumers weren’t allowed to return their orders on Texas Chemist, although the shop encouraged the consumers to contact the store in the case of lost orders, missing items, damaged orders, and wrong orders. Pharmacy Forums was one online platform which allowed consumers to leave their testimonials for the store Texas Chemist. The shop had several reviews and most of the customers were positive about the store in their comments. 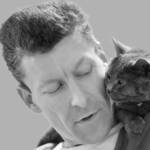 According to Bob, who gave the shop a 5 out of 5 star rating, Texas Chemist was an excellent shop although the store took more than 3 days transit time for the products he ordered (not as advertised by the store). Heisenberg rated Texas Chemist 4/5 stars and according to him, the Vardenafil product he purchased from the store was effective although he did not give perfect marks for Texas Chemist because of the delivery time. Overall, the store had good feedback from its consumers. According to this one review, the user (David) received the item although the transit time was much longer than he anticipated. Nevertheless, because the medicines were effective, he still gave the shop a fair rating of 3 out of 5. Apart from this review, however, there were no other customer comments available for the shop Texas Chemist on the web for the present year. The shop Texas Chemist did not have special coupon codes available for its consumers, but this web pharmacy had several discount deals that its former clients were perhaps able to enjoy. 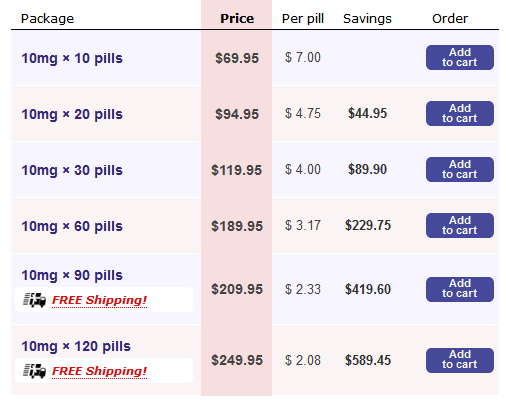 According to Texas Chemist information, consumers were able to enjoy discounts when they have ordered more pills. For instance, buyers with orders of more than 120 pills got to enjoy a lower per pill price and consumers with orders of more than $200 got to have free shipping for their products. These were good deals although other online pharmacies are able to offer more savings to their consumers through other deals (like coupon codes, referral discounts, loyalty points, and others). The shop Texas Chemist was one US-based online drugstore that catered only to consumers in the United States. This online pharmacy ran for several years and was able to obtain good reviews from its buyers on external review platforms. Buyers were happy that they found this online platform and would like to order again from the store – if only Texas Chemist were still online. Customers, however, should consider other web pharmacies to use in lieu of this shop (like the stores included on our list of Top Web Drugstores).